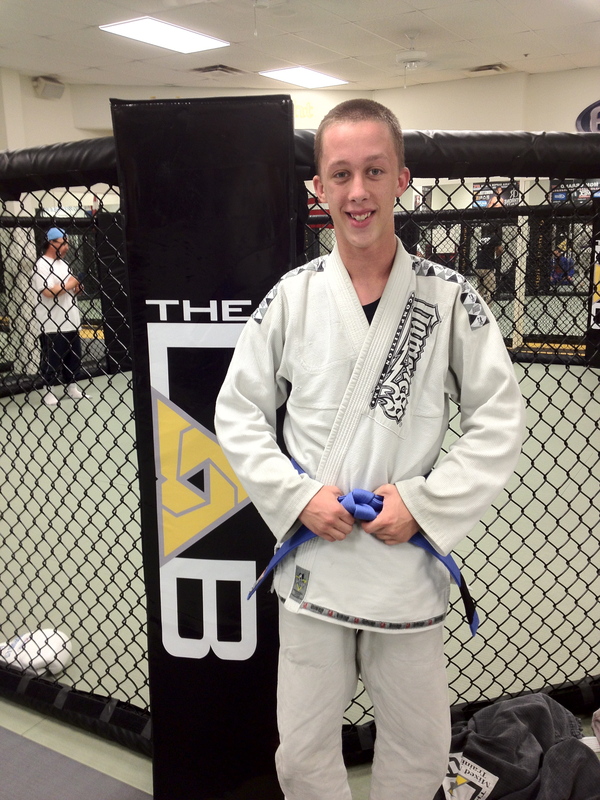 Tonight Jarrett Johnson was awarded his blue belt! Jarret has been working very hard and is very deserving of his promotion. Congratulations buddy, keep up the good work! This entry was posted on Wednesday, June 27th, 2012 at 11:38 pm	and posted in News. You can follow any responses to this entry through the RSS 2.0 feed.